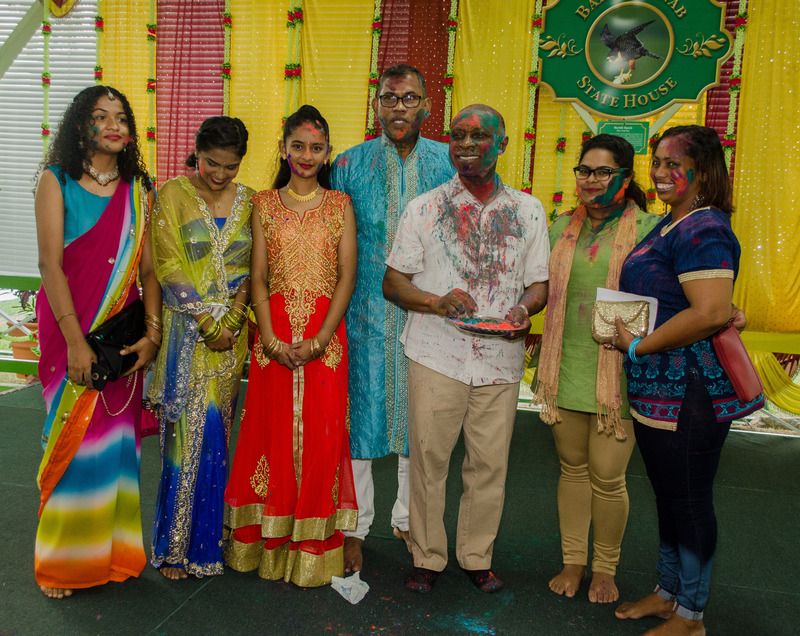 Guyana officially celebrates the Hindu religious festival Phagwah later this week, however, members of the Hindu community began the week with a special celebration at the Baridi Benab at the State House on Sunday. 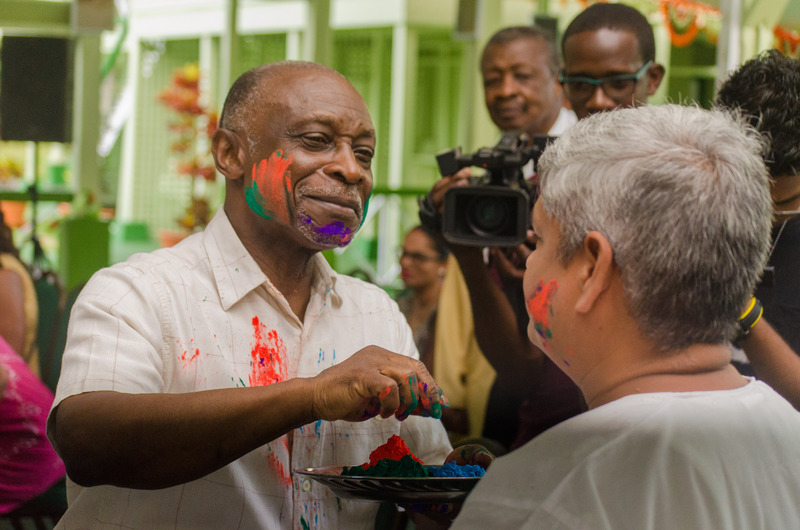 Minister of Foreign Affairs, Carl Greenidge, who is performing the duties of Head of State, was in attendance along with Minister within the Ministry of Finance, Jaipaul Sharma, Minister of Social Cohesion, Dr. George Norton and Speaker of the National Assembly Dr. Barton Scotland. 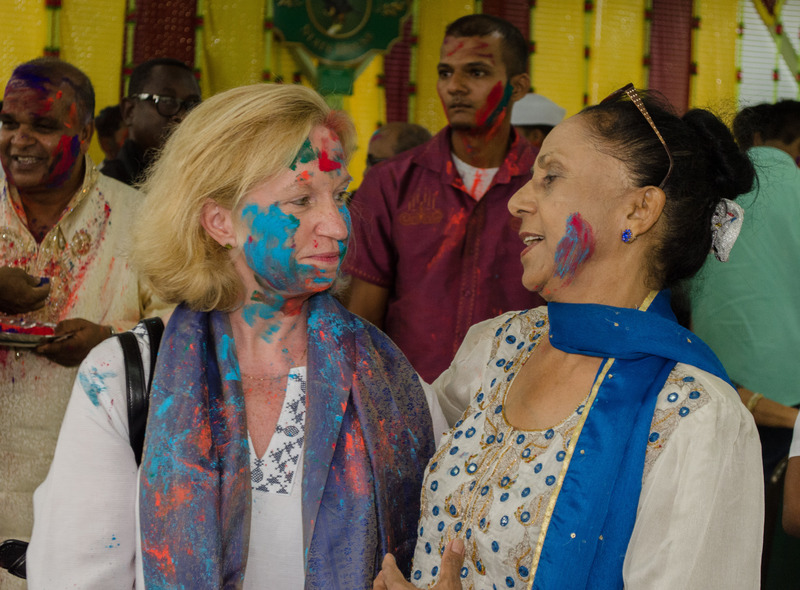 Among the special invitees were US Ambassador to Guyana, Sarah-Ann Lynch, Indian High Commissioner to Guyana, Shri V. Mahalingam, Pandits and Hindu celebrants and devotees from mandirs across the country. 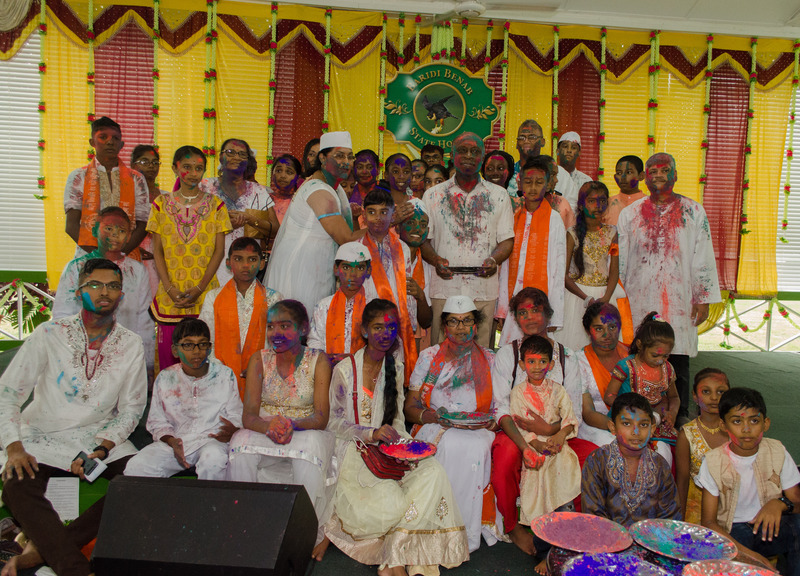 As he brought greetings to the Hindu community, Minister Greenidge made a special plea for unity. The festival of Phagwah, he noted, helps to foster religious tolerance and to promote inclusiveness by ensuring that every major religious and ethnic group is accorded respect and recognition. As well as speaking to the fostering of harmony between “man and man, man and nature, between man and the supreme being and between the inner life and the outer world”. 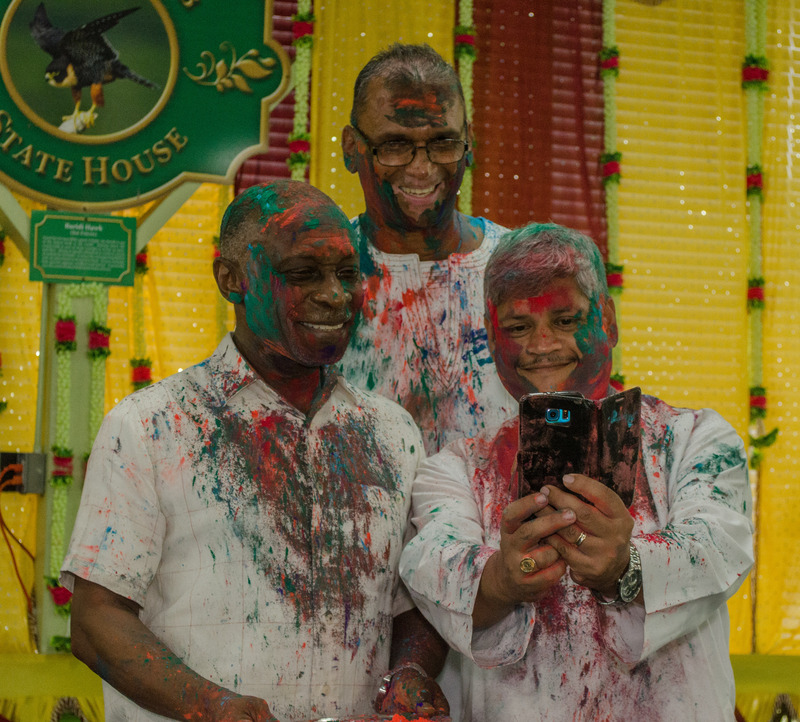 Since his inauguration, President David Granger has made it his duty to host observances of Guyana’s major religious festivals at the State House’s Baridi Benab. Phagwah, observed in March, celebrates the triumph of good over evil. 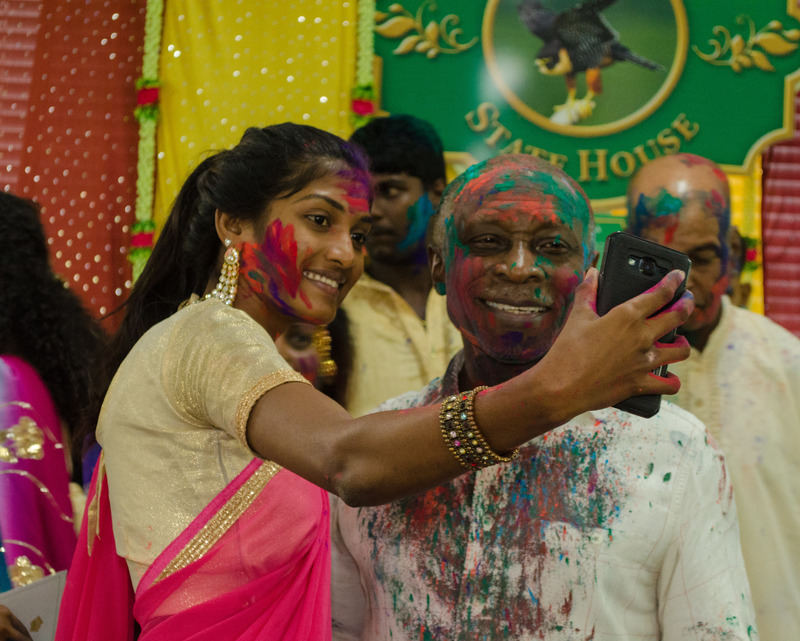 During celebrations, Hindus and non-Hindus who are taking part in the festival, would traditionally wear white and indulge in the throwing of abeer on each other. Abeer is a coloured powder or a liquid dye.